One of the most difficult decisions every parent has to make, on a regular basis, is what kind of cereal to buy. It seems pretty trivial, but it’s a very regular basis, because your children tend to go through cereal at an alarming rate. Plus, they eat cereal between meals. In fact, according to statistics that I just now made up based on some of the people I know, cereal is more popular at midnight than it is for breakfast. And forget bowls — kids are just sneaking into the kitchen and grabbing handfuls of cereal out of the box all day, and then at supper time they say they’re not hungry. The manufacturers do try to help you out by making the interior bags as noisy as possible, but your kids have figured out how to take cereal silently by doing such things as not bothering to close the bag after breakfast. Who even gives them the right to decide that there’s a cereal they don’t like? I say there’s too much variety out there. There are more varieties of cereal than basically any other kind of food. 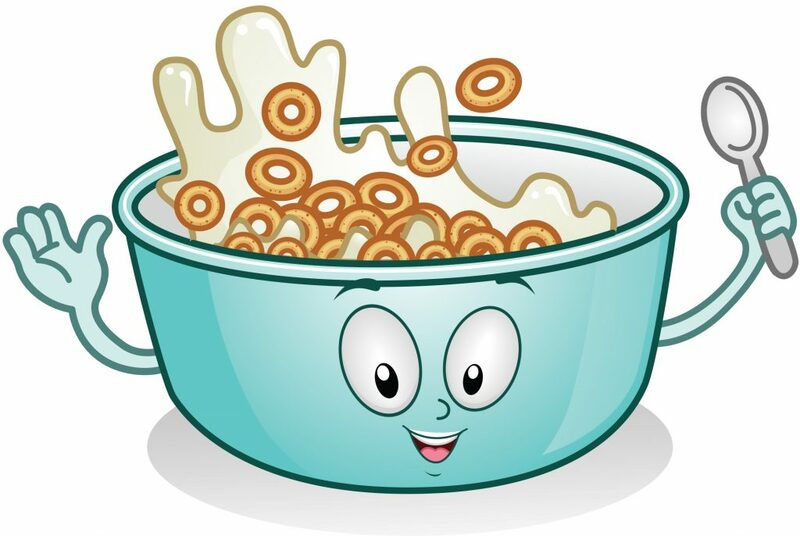 Cereal became a popular breakfast food in the first place because people didn’t want to have to think about what to eat in the mornings — they just wanted to grab something quick so they could eat and drink at the same time and then get out the door. Plus, there’s always something to do on the back of the box, such as a game, or — in the case of heimishe brands — an instructional on how to perform emergency first aid during breakfast. That wakes you up. What other food provides entertainment right on the box? Usually they just print recipes. And no one keeps those boxes around to read while they’re eating it either. When I make something, I usually throw away the box immediately, and then again after I fish it out of the trash to check the cooking times. Come to think of it, though, there probably should be preparation instructions on the side of the cereal box, so we can finally settle that argument about what we’re supposed to be pouring first — the milk or the cereal. Most of us pour the cereal first, like our fathers before us, and then we pour the milk in straight through the cereal and wonder why it’s getting soggy so fast. What we should be doing, scientifically, is pouring the milk in first, and then the cereal, so that not even all the cereal touches the milk. Just the bottom pieces do. And then we should somehow eat those first. I don’t have it all thought out yet. Or we can have a bowl of just milk, and then every few minutes we’d dump a handful of cereal in there, eat it, and then dump in another handful until the whole box is finished, probably. I knew a guy in yeshivah who did this. Everyone made fun of him, but he couldn’t hear them over the crunching. So the best idea is to do what the yeshivos do. Yeshivah food has never really been what you’d call “good,” ever since the old days, when your grandfather used to get bread and water, except on the days that he just got water. And it wasn’t even filtered. The bachurim had to filter the water themselves, using a sock from the dorm. And this is still what yeshivos do today, except for the sock: They put out food that the kids don’t love, but they’ll eat if they have no other choice. Remember they have to feed hundreds of bachurim, and you know how bachurim eat when it’s a food that they like. The yeshivah doesn’t want to have to spend your entire tuition on a meal plan. And they don’t do this just with lunches and suppers — they do the same thing with whatever cereals they buy. Which is why the kids all bring their own boxes, which you buy. So basically, the yeshivos are winning. My point is that you should do the same thing, at least when it comes to cereal, because, let’s face it — even your 5-year-old eats cereal like a yeshivah bachur: 3-4 times a day, often while standing, and usually while staring vaguely into the distance. The problem is finding that one cereal none of your kids particularly like but that none of them specifically dislike. And everyone has different tastes. Every time you buy a cereal one kid doesn’t like, the other kids jump all over it. You have to take all your kids to the supermarket in one trip. No one’s eating frosted flake chicken. Rice Krispies is a good cereal for this too, because number one, it’s not actually chametz gamur, and #2, if you don’t want to sell it, you can make it into Rice Krispies treats. You can’t make Cheerios treats. You can make something called Chex mix, but I think you have to buy pretzels for that, which is a step in the wrong direction. So that’s the plan — Cheerios, Corn Flakes, and Rice Krispies. Or what is known in Yiddishkeit as “weekday cereals.” You can still buy a limited amount of sweetened cereals, and those would be for Shabbos, so the kids will eat them only on the one day a week when they have no real way to get out their energy, and then bounce off the walls while you’re trying to get them to sit down for cholent. I can tell you they’re okay in coffee.